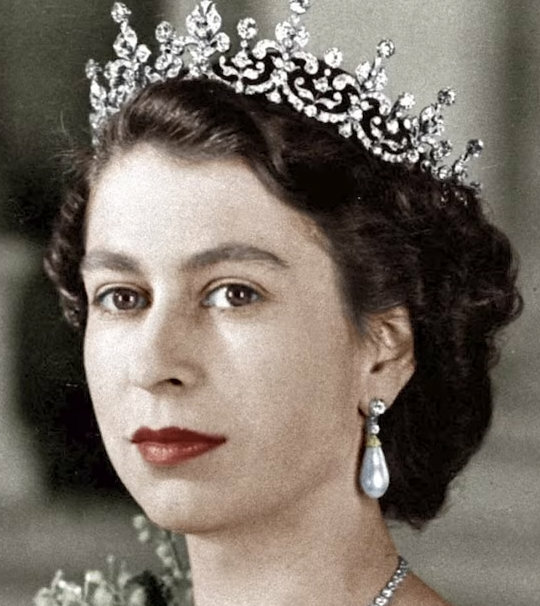 Today is Queen Elizabeth II’s 90th birthday. She is the longest-reigning British monarch, surpassing Queen Victoria as of last September. Though she isn’t our queen, we Yanks find her interesting for all kinds of reasons. Certainly many of us love the pageantry associated with royals, the palaces, the golden coaches, the ancient rituals. I’m deeply interested because the monarchy is the heart of that world of noble men and women who people my fiction. The court, those who make up the upper ranks of society, how one addresses this person, who’s a peer and who isn’t, who inherits what—learning about and trying to execute correctly these and numerous other mysteries of a completely foreign world, are part of the torture and joy of what I do. But the royals I study are long gone. Queen Elizabeth is one of a vanishing breed. She's the living model of a monarch, the modern version, yes, apparently much saner than some of her ancestors; and there she is, on TV, still doing her Queen thing, as she’s done my whole life, with dignity and grace and what seems to be good humor. So I thought we'd mark her milestone birthday with this set of photos of her life. I went with the school to see the Queen at the Melbourne Football Ground, during her first post-coronation tour of Australia in 1954. She waved at us from an open car, going around the ground - very impressive moment it was. This is big news here in Canada, where many of have seen the Queen on one or more of her 29 visits, and where she is still our head of state. As a child, I sang God Save the Queen everyday at school in the 1960s. Interestingly, Elizabeth is not the longest reigning monarch of our patch of geography. That title goes to Louis XIV, who reigned New France for 72 years! My mother was two days younger than Elizabeth and, as a child, kept close eye on what her age mate was up to. Much preferred Elizabeth to Shirley Temple, who was born on Mom's birthday but two years younger. (That gap varied when middle age arrived but the Queen was always her real age.) Her smile reminds me of my mother, who is gone now, and I like to see it. If you want to see a good royal family that's a credit to their nation, look at Denmark's. The Queen is a talented painter and costume designer, having worked on various theatrical productions and illustrated books. I saw a photo of her in one of the castles once, and she had actually made it look cozy, which I would have said was impossible. The crown prince and his wife, princess Mary, are both fine, hardworking people.